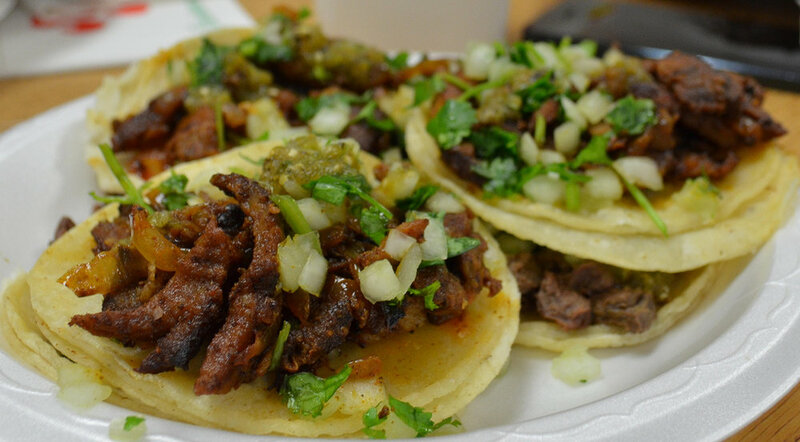 Located in Sunset Park, El Tenampa Deli is providing fresh and authentic Mexican cuisine. El Tenampa Deli started it's humble beginnings in a smaller deli a few blocks down from it's current location. Since 2002, Vincente Neri, chef and owner, has been crafting real authentic Mexican street tacos. Located inside the El Tenampa Grocery, you will an array of choices from his delicious handcrafted cemitas to the classic tostadas and burritos. Other authentic Mexican favorites are handmade sopes, huaraches accompanied with complementary fresh guacamole, verde and roja salsas and other garnishes to complete your meal.